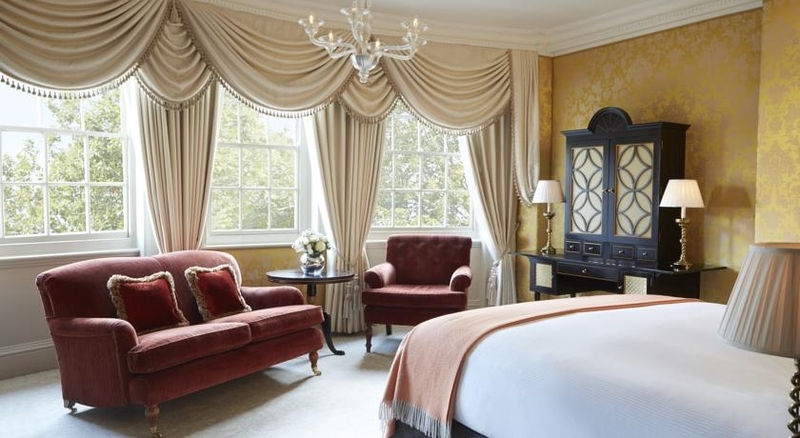 With its prestigious location at the heart of London's Belgravia, The Goring is perfect for exploring the most luxurious and elegant part of the city. 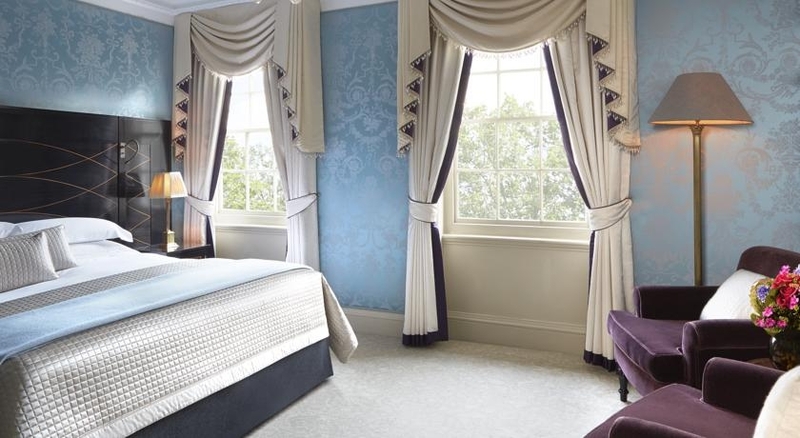 The hotel is just metres from Buckingham Palace and the Royal Parks are within walking distance. 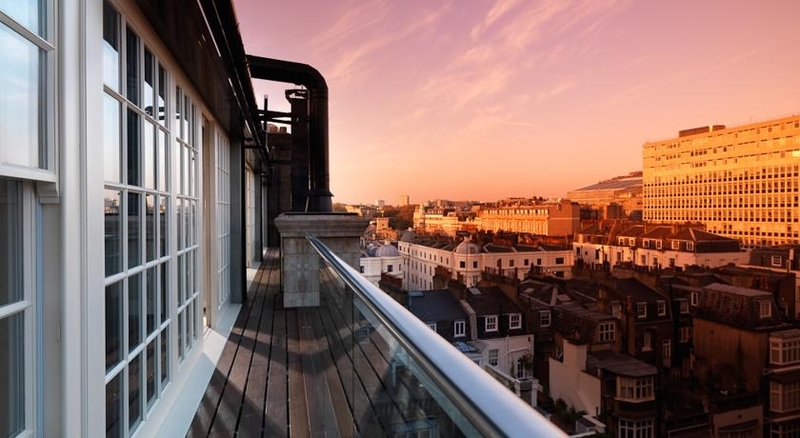 Victoria Station (for the Gatwick Express) is a three minute walk on foot, meaning no queuing in morning traffic to catch early flights. 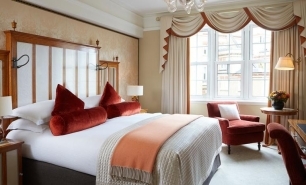 The hotel is ideally located for seeing the sights of London, with Westminster and the Houses of Parliament within easy reach, and a number of theatres located in the surrounding area. 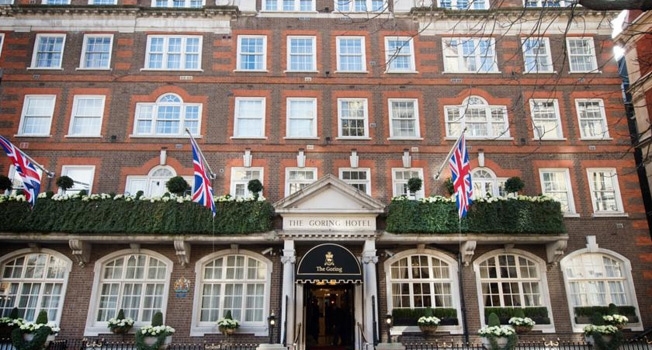 A number of company headquarters are located nearby and the Goring's central location means that many more are easily accessible. 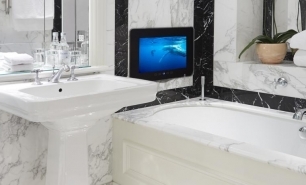 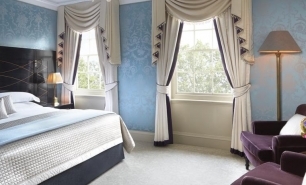 The hotel is recognised for its exceptional level of service and attentiveness, and with 105 years of experience as a family run hotel, they have had plenty of time to perfect it. 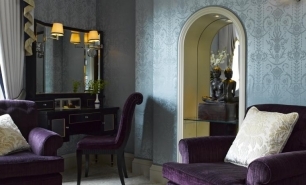 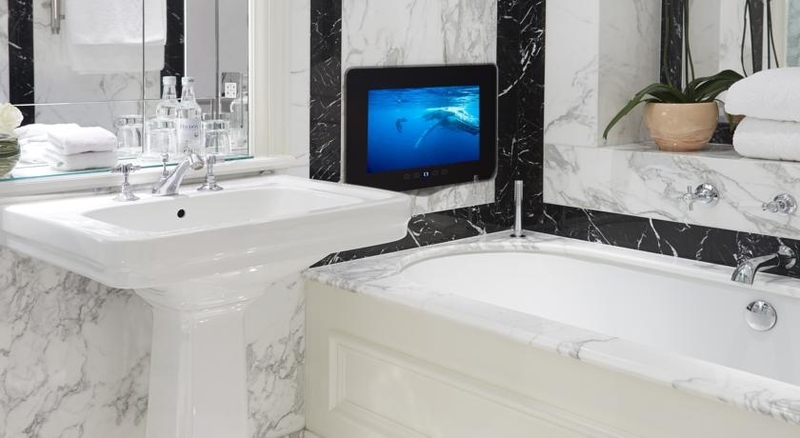 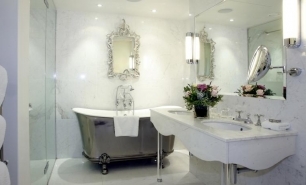 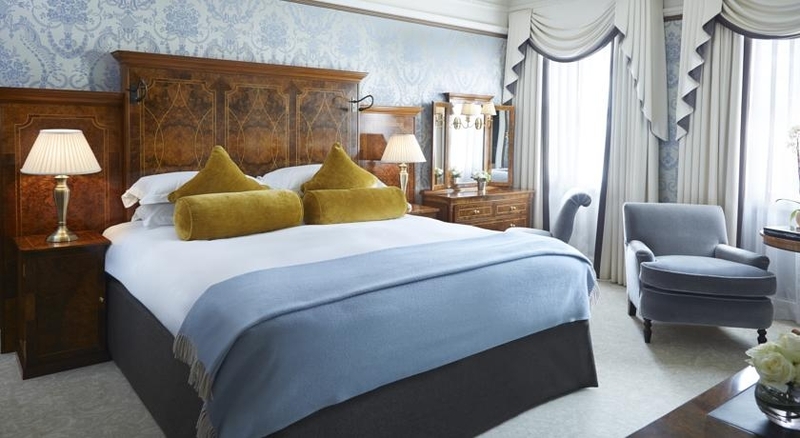 There is a wide range of room sizes and types available, with ‘Delightful’ King and Queen rooms at entry level measuring 23 and 25sqm respectively, featuring bespoke furniture and elegant designs. 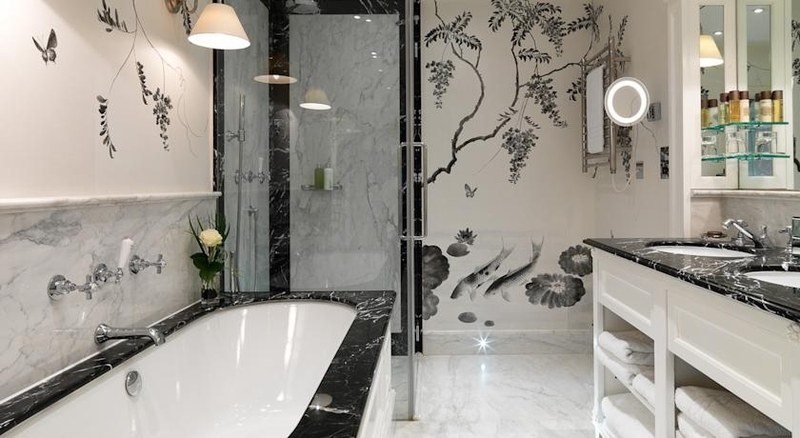 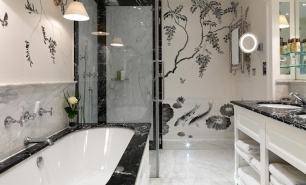 Deluxe and Splendid rooms measure 27 and 30sqm respectively and are each individually designed with marble bathrooms and exceptional hand-crafted furniture. 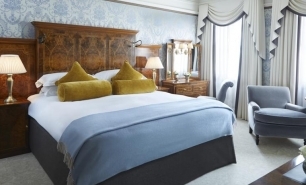 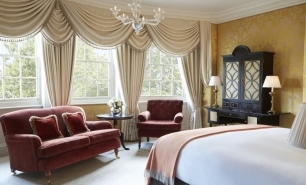 The largest bedrooms available are the Most Splendid rooms, which have comfortable seating areas and Gainsborough silk-lined walls, while the possibility to connect neighbouring rooms makes it an ideal option for families. 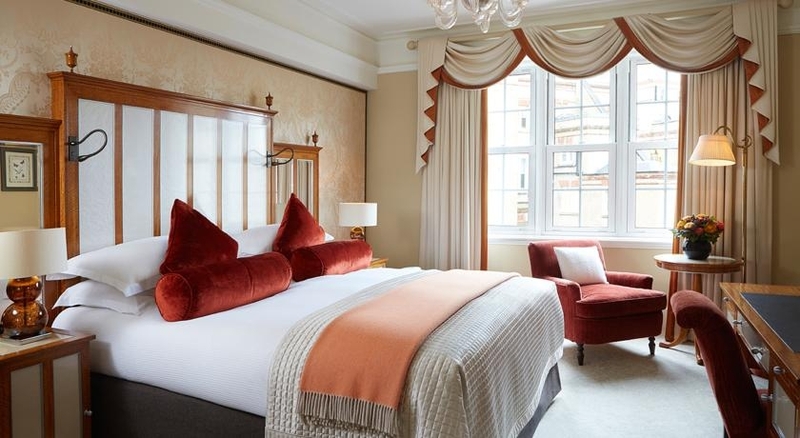 Junior Suites are exquisite, 40sqm, one-bedroom accommodations, that have a cosy sitting room and wonderful views across Victoria Square. 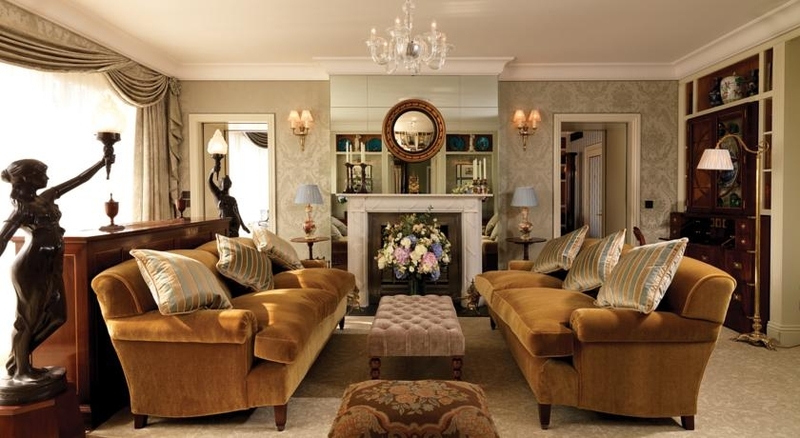 Belgravia One-Bedroom suites are more spacious, measuring 55sqm, and benefit from an in-room cocktail service which is provided each evening, while elegant marble fireplaces create a warm and cosy environment in the sitting room, and flat screen TVs complete the luxurious setting in the beautiful marble bathrooms. 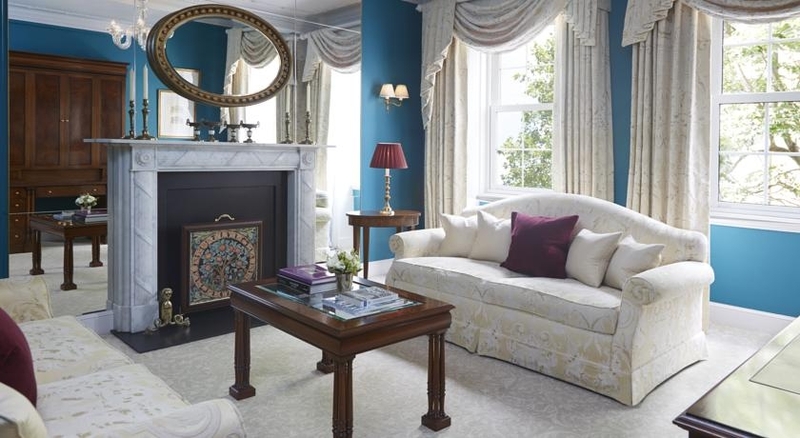 The highest level of luxury can be found in the Royal Suite, and measuring 138sqm it is by far the largest accommodation available at the Goring. 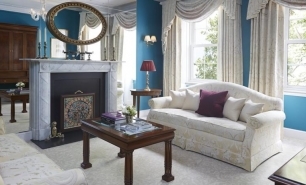 This exceptional suites stretches across the entirety of the top floor of the hotel, with French windows that open onto a private balcony overlooking the gardens and two beautifully decorated bedrooms which are furnished with antique four-poster beds. 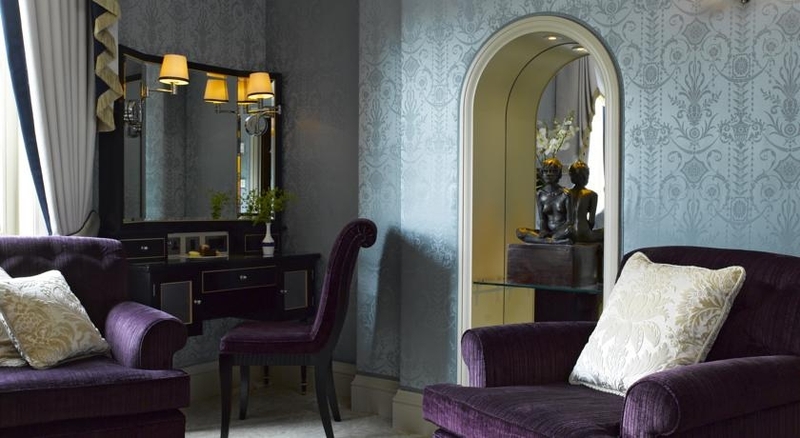 A grand piano dominates the dining room which seats up to six, making this suite ideal for entertaining guests. 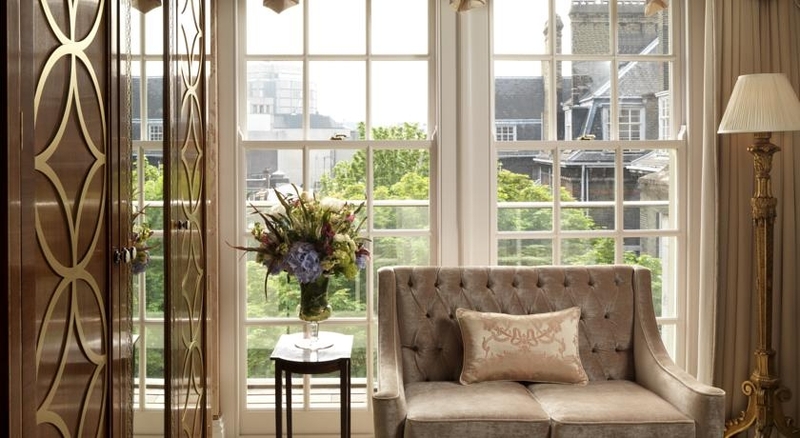 A wide range of amenities are provided during stays in the Royal suite, including complimentary airport transfers, flowers, fresh fruit and handmade chocolates. 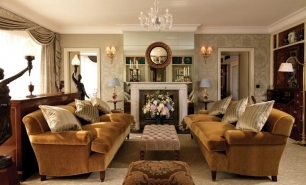 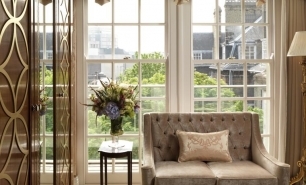 The Goring has five footmen for the exclusive use of guests staying at one of the Goring’s suites. 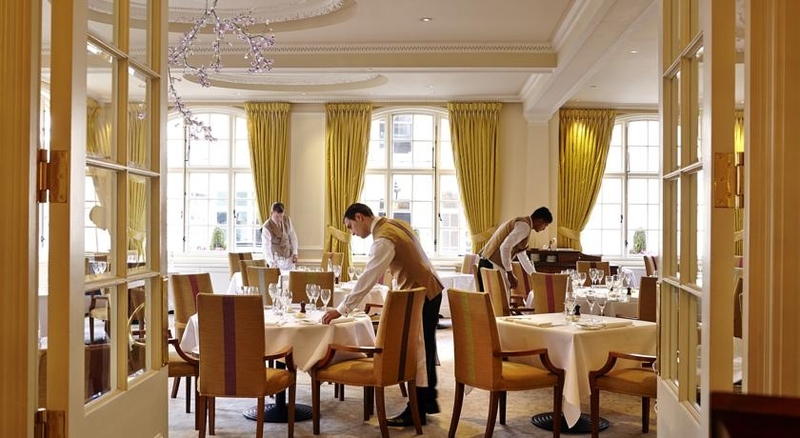 The Dining Room holds three AA Rosettes and serves traditional British cuisine, with ingredients sourced from across the UK, such as lamb from Romney Marsh and fish from the coast of Cornwall. 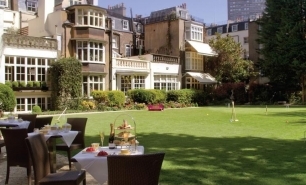 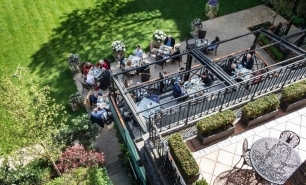 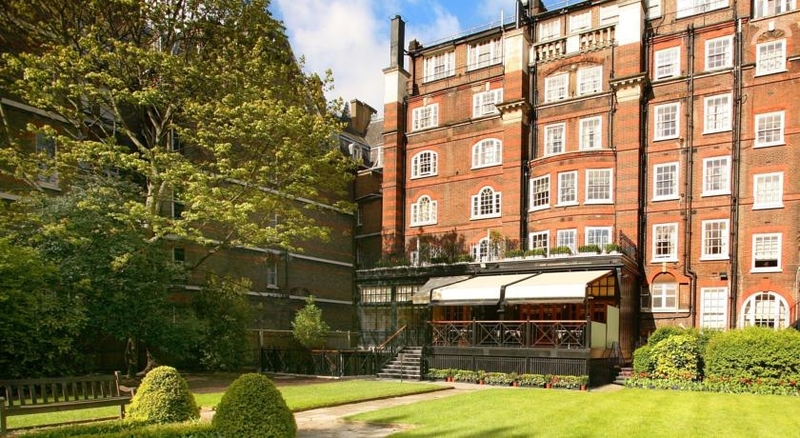 The Veranda offers the largest private garden of any hotel in London and is an ideal venue for an alfresco summer lunch. 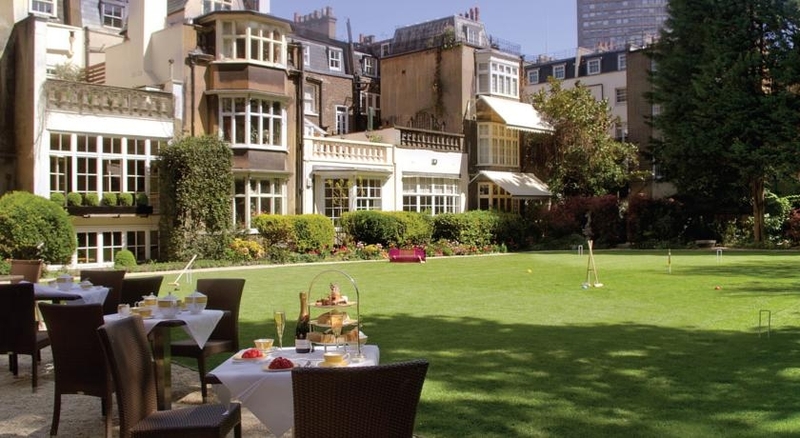 The award winning afternoon tea features fresh pastries, homemade jams and first-flush teas from around the world. 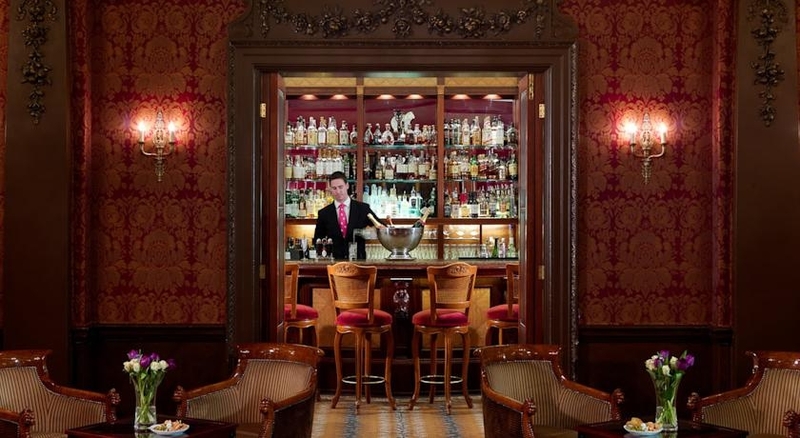 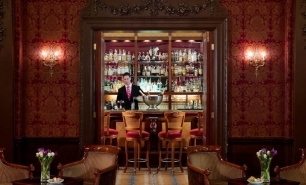 The Bar & Lounge has an extensive choice of Champagnes and the Goring Cellar has a wide selection of quality wines. 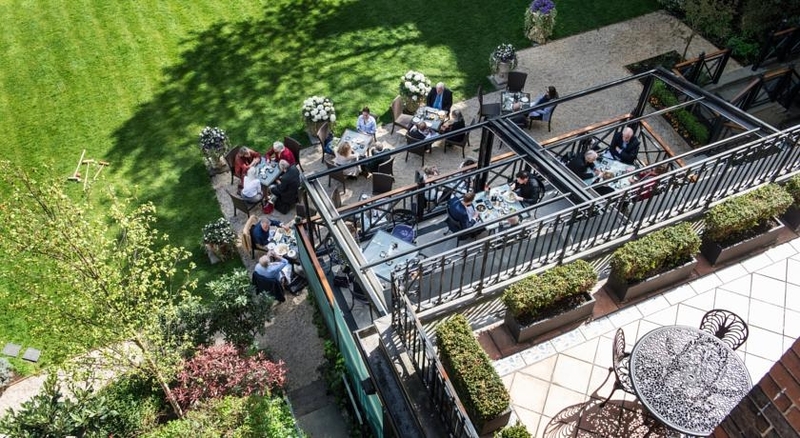 The hotel has partnered with Rococo chocolatiers to create an exclusive ‘decadent chocolate night’, allowing guests to indulge in a number of rich flavours and to even create their own chocolate bars. 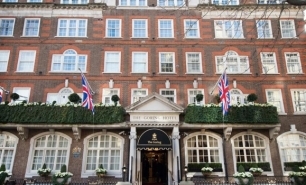 A number of exclusive shopping venues are nearby, both within Belgravia and in the neighbouring Knightsbridge and Mayfair districts. 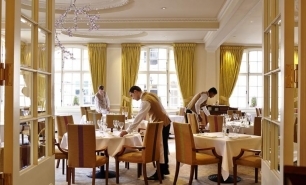 The concierge can be contacted to arrange trips to a number of museums and galleries. 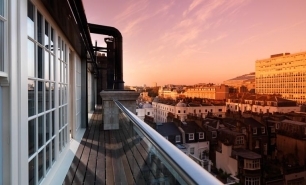 45 minutes (29km) by car from Heathrow (LHR), 5 minutes (1km) by car from Victoria Station with Gatwick Express (30 minutes) to Gatwick Airport(LGW). 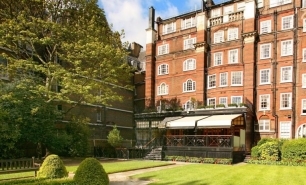 10 minutes (4km) by car from St Pancras International for Eurostar.